This makes a great patriotic door hanger or decor piece for any home. 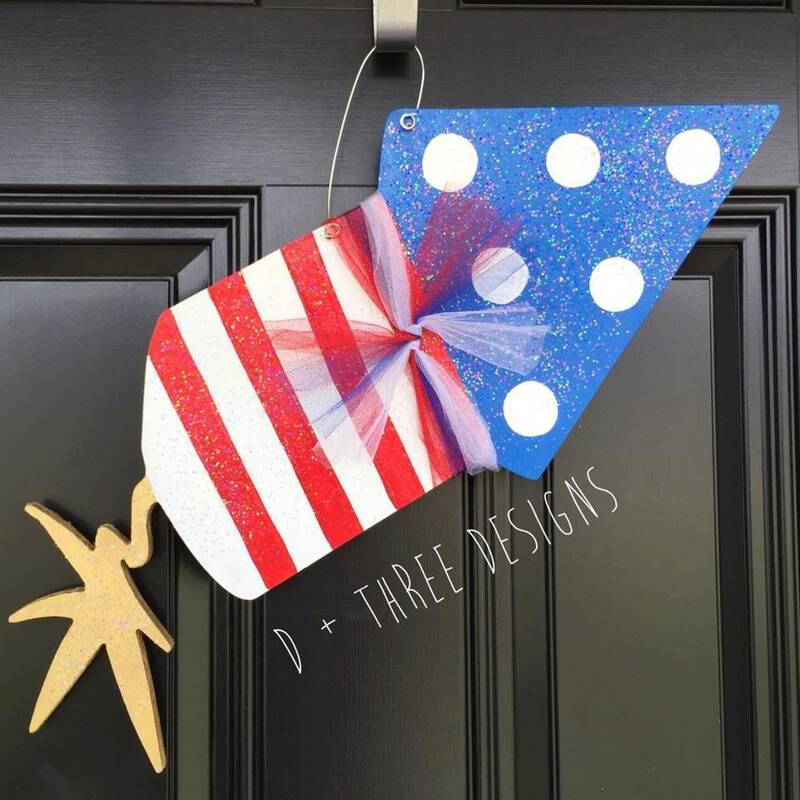 This is our hand painted and crafted Fourth of July wooden door hanger. It is made on 1/2 birch wood. This sparkling firecracker comes painted with red, white and blue accents on the body of the firecracker and a golden spark on the end. The entire door hanger is lightly dusted and sealed with crystal sparkles for the perfect accent in the sunshine! This wooden piece comes painted, with a wire door hanger, and jumbo red, white, and blue whimsical tool bow. Alternate bow colors and color schemes are available at no extra charge upon request! This piece measures approximately 20" x 10". This door hanger is sealed for indoor or outdoor use! Looks perfect on our front door for the Fourth of July!